The Union Budget is expected to be presented by the government of India on February 1. Needless to say, the annual Union Budget presentation is an important event which outlines the government's expenditure for the fiscal year. Ahead of the official 2017 Union Budget presentation, automobile companies are expecting quite a bit from the government. 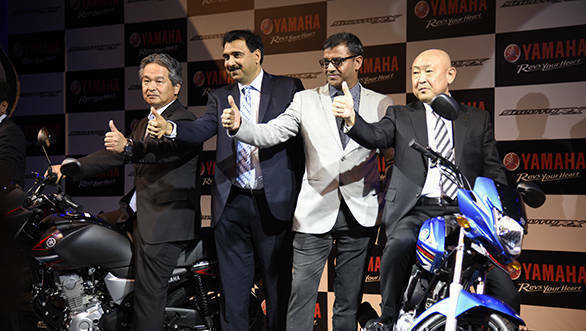 Roy Kurian, vice president of sales and marketing, Yamaha Motor India Sales Pvt. Ltd. said "The implementation of GST will ensure seamless movement of goods and services along with an impressive increment of GDP as India develops into a big market for automobiles. Lower excise will boost market sentiment and foster the 'Make in India' campaign. Investment friendly economy and positive stimulation in demand would also increase market liquidity. Secondly, demonetisation effect would diminish in coming months and people would slowly get used to banking. Government's initiative of incentivising a common man for online purchase would have positive impact overall. Union budget is also expected to have changes in income tax structure leaving more disposable income with consumers eventually boosting the economy. The two-wheeler sector also hopes that the rural infrastructure is given due share, as the development will directly lead to rise in sales." 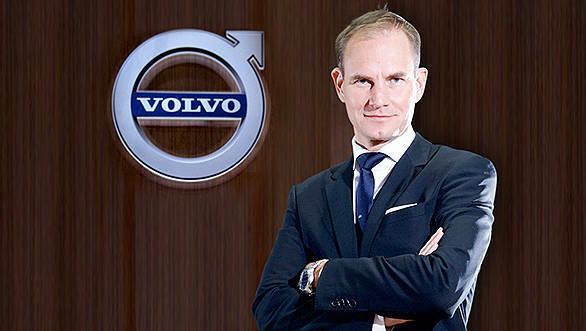 Tom von Bonsdorff, managing director, Volvo Auto India said, "We expect the government to bring in measures that will boost consumer sentiments and announce a policy roadmap that would fulfil potential of the auto industry. India requires critical thinking about environmental pollution and should be receptive of new technologies adopted by automobile industry. There is a need to revisit the existing import duty structure for hybrid vehicles. We are expecting that the Union Budget 2017 will introduce more incentives or schemes like Faster Adoption and Manufacturing of Hybrid and Electric (FAME) scheme to promote eco-friendly driving and mobility." Pravin Shah, president and chief executive (Automotive), Mahindra and Mahindra Ltd said "Given the situation post November 8, we expect the Finance Minister to announce a well-defined , right and prudent budget with specific focus on infrastructure, manufacturing, taxation and provide rural stimuli to revive and boost consumer, business and investment confidence . In the short term the economy has been shaken and this budget will have to bring the economy back on growth track. Hence a bold and rational budget is what one can expect. Specific to the automotive industry, we do expect an announcement on the extension of incentives and infrastructure development support for electric vehicles. Further, the political support which was so critical for GST has suddenly seemed to have waned in the aftermath of the demonetisation drive. Even in it's present less-than-ideal form, the GST is a big game changer and the government must bring it back on top priority by giving adequate time and clarifications to the stakeholders so as not to cause disruption to business and economic activity at large. Kumar Kandaswamy, Partner, Deloitte Touche Tohmatsu India Private Limited said "Demonetization seems to be playing out in ways that were not quite expected. This issue that will stay with us for a while, both in reality and in the minds of potential buyers of automobiles. In a situation like this, it is important to have the government facilitate demand. This can happen through both financial and non-financial methods. It is important to speed up the plan to implement urban bus corridors and have demand created through urban upgradation programs. Tightening and implementing retirement norms for vehicles can support demand creation. Strengthening the framework by which the vehicle aggregation models flourish would enhance consumption in that segment. Demand could also be enhanced by building adequate road infrastructure, particularly in the urban areas." Ayush Lohia, CEO, Lohia Auto Industries on Electric Vehicle Industry said, "At present, demonetisation has created unfavourable environment for the auto industry on the whole. The auto industry is pinning hope on the upcoming union budget 2017 as it will uplift consumer sentiment and infuse positive environment for auto industry including the electric vehicles. Auto mobile industry players are working toward extension of the incentive scheme for electric mobility under the FAME scheme and hoping for a positive response from the upcoming union budget with a long term plan for atlteast next five years. This extension will lead to achieving India's electric vehicle target which in turn will undoubtedly help in reviving of the industry." "The industry is also expecting that GST will come in effect from April 1 as far as the taxation side is concerned. GST as we all are aware will bring good news for all the companies in the manufacturing sector owing to the expected benefit so again cheers to the electric vehicle industry! Those companies who are locally manufacturing vehicles can expect benefit because of cost advantage due to lower taxation. GST will uplift the electric vehicle industry on the taxation front as it will soak up many of the currently levied state, central government and local body taxes. On the whole cost of manufacturing vehicle will be reduced by easing off the cascading effect of tax-over-tax. This easy and consistent tax structure will simplify the way of doing business for those in the manufacturing industry. 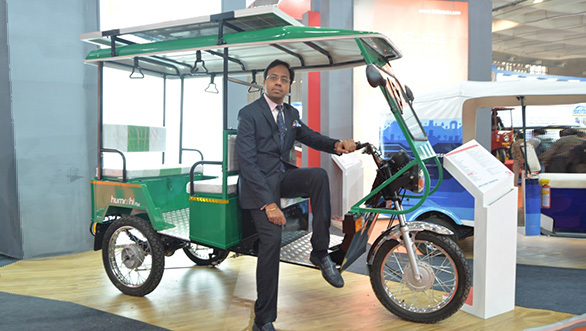 As far as the electric vehicle industry is concerned the suppliers, manufacturers, dealers and particularly the customers who will get the utmost benefit," said Ayush Lohia. "Furthermore, GST will transform India into "one market". Government will infuse a positive spirit in the economy and bring in a lot more efficiency in operations as compliance burden on the whole will reduce. From the prospective of Indirect tax the entire country will be perceived as 'One Market' which will lubricate operational competence. GST is extremely beneficial as far as electric vehicle industry is concerned. The industry as a whole is appreciating the Government of India and political parties for carrying the GST baton and taking it forward. Implementation of GST will fuel the growth of electric vehicle industry. In the current scenario, some states are still charging heavy taxes on electrical vehicles where as some states are charging around five percent. Considering all goes well, it is expected that GST rate should reduce the total tax burden on electric Vehicles. Under this favourable climate, the GST rate is expected to be in the lowest possible slab. Additionally, focus on infrastructure development and government initiatives for development and promoting of electric vehicle will also create promising environment for this industry," he further added. Sohinder Gill, director corporate affairs, Society of Manufacturers of Electric Vehicles (SMEV), said "The forthcoming budget is expected to create a favourable and stable policy environment to achieve India's electric vehicle target and revive industry with a long-term extension in the FAME policy (ending this financial year). The industry is currently moving at a snail's pace and is far from the target of 6-7 million electric/hybrid vehicles in India by the year 2020 as in the National Electric Mobility Mission Plan 2020. It will gather the desired momentum with support from the government, in the form of subsidies, tax incentives and infrastructure development." SMEV, an apex body for the promotion of electric vehicles in India, is expecting the desired thrust to the industry, on pressing issues starting from infrastructure to finance. We hope that in this budget the government will give impetus to manufacturers that develop and deliver innovative sustainable solutions. The shift from private transport to Public transport is essential to address the environmental impact from carbon emissions, we hope the government will address the issue and encourage public transport and suggest in the budget financial implications on carbon footprints. In line with the "Make in India" initiative we are looking forward to financial allocations and tax benefits to encourage manufacturing and use of sustainable transport solutions that are safer, greener and more fuel-efficient and drive on locally produced Biofuels. Sustainable urban mobility is the need of the hour and we look forward to growth oriented policies to accelerate the growth and development of sustainable urban transport for "Smart cities". We hope that the government will continue to allocate funds towards initiatives that focus on building low carbon / carbon neutral infrastructure and public transport systems in keeping with its commitment to addressing climate change and environmental degradation. We believe that the much awaited GST - Goods and Services Tax (GST) will be executed at the earliest as it will reduce costs and waste across supply - value chains. SIAM accepted standard GST rate of 28 per cent for two-wheelers, three wheelers, commercial vehicles (bus & truck), small cars and utility vehicles, and suggested all other cars should attract a uniform cess of 8 per cent, electric vehicles should attract a GST of 12 per cent or lower, all categories of hybrid vehicles should have a ~10 per cent point rebate from applicable GST rate. The apex body has suggested that the list of acts to be repealed after introduction of GST should include the relevant part of the Act that levies NCCD, R&D Cess on Import of Technology and Infra Cess. It has recommended that specific provision in Model GST Law should be made for used vehicle business otherwise organized pre-owned vehicle business will become unviable. R&D activities are the backbone of every industry. In order to encourage R&D and to make it attractive proposition, the Government is providing weighted tax deduction of a sum equal to two times of the expenditure incurred on scientific research on in-house R&D centres. SIAM recommends that there should not be any cut-off (start) date for claiming/ allowing the weighted deduction of R&D expenditure once the approval has been granted and co-operation agreement has been entered by the DSIR. The Finance Budget has proposed to reduce the weighted deduction from 200% to 150% with effect from 1st April 2017 to 31st March, 2020. It is recommended that the weighted deduction of 200% to continue till 31st March, 2020. This will provide immense boost to the innovation and manufacturing sector of the country, mainly the automobile sector. Kapil Shelke, founder and director, Tork Motors Pvt Ltd said, "While there has been a concerted effort by the government in endorsing hybrid and electric vehicles, the EV players are pinning huge hopes on the upcoming union budget to foster further growth for the segment. To begin with, we expect the government to continue and extend the duration of the already existing incentive under their FAME scheme launched in 2015, offering subsidies on electric and hybrid vehicles of up to Rs 29,000 for bikes and Rs 1.38 lakh for cars. Another critical aspect that needs attention is the high import duties on lithium ion batteries and other parts apart from other forms of taxes which contribute nearly 20-70% of the overall cost of the product. Considerable reduction in import duty can enable EV players to offer products at a competitive price point to the consumer." "Also rather than having tax structure in place which is offset by a subsidy on purchase of EVs; reducing taxes or offering tax concession would help faster adoption and achieve the ambitious target of six million electric vehicles on road by 2020-21. In addition, waive of on income tax on company for the first three years of business can go a long way in fostering growth and encouraging other players to join the bandwagon. Overall we seek support and concrete incentives from government in promoting hybrid and electric vehicles with specific budget allocation for the EV segment and at the same time boost overall consumer sentiment," he further added. 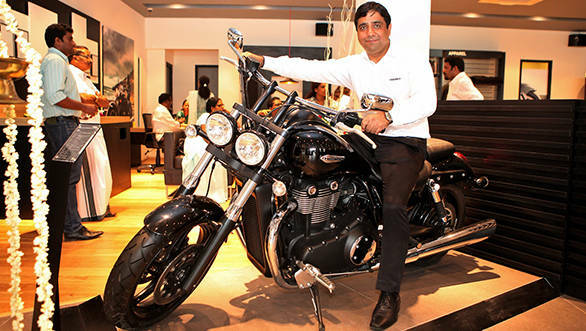 Vimal Sumbly, managing director Triumph Motorcycles India said, "India is one of the most promising economies across the globe and this budget is the perfect time to remonetise India. 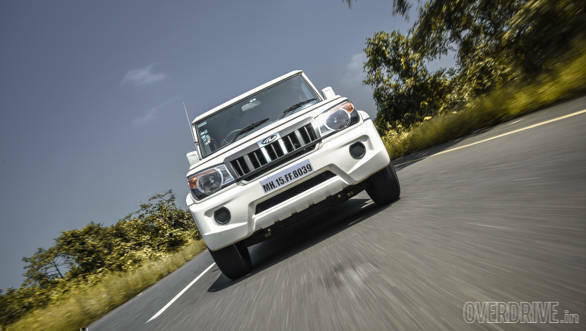 Auto sector hopes that budget will bring measures to boost consumer sentiments. There should be ways to increase disposable income in the hands of corporates and customers in tier-2 and 3 cities. I look forward to moderation of taxation and expect that taxes are not imposed heavily on luxury vehicle segment. Government has been making rapid strides in infrastructure development by carefully planning and implementing smart cities projects, strengthening road network and building bridges and flyovers. A little more push will set us firmly on the path of a long term economic growth, which will create demand and more avenues for auto sector. I also feel that there is a need to revisit existing import duty structure".